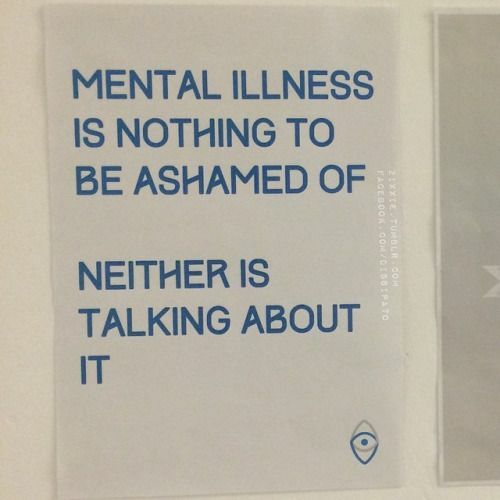 Mental Illnesses are not Adjectives. Choroby Psychiczne nie są przymiotnikami. We’ve all been there: conducting a spontaneous self-diagnosis during a Sunday chat with a friend or misusing a medical term while gossiping with a co-worker, to give you just the simplest examples. This very process – so when a technical or medical term is being adopted by our everyday vernacular – is very common and, obviously, not limited to the usage of mental-health related words. It’s name – determinologization – was introduced in 2000 by Ingrid Meyer and Kristen Mackintosh in 2000. Leading to the popularization of concepts that have previously been used only by professionals, it robs them of their actual depth and meaning. Now don’t get me wrong, I’ve done it as well and I’m not here to reprimend you. I am also far from suggesting that – when we’re doing it – we’re doing it on purpose, to insult or harm others. Apart from that, many of us think that as long as we’re not pointing our fingers at someone to call them these “names” we are not doing anyone any harm, but I beg to disagree. 1. Determinologization of mental illnesses trivializes the severity of these conditions, making them sound way less serious than they actually are, which not only shares misinformation, but can also make the ones suffering from them feel ridiculed or even prevent them from seeking help. 2. Determinologization of mental disorders leads to stigmatization, thus it supports the stereotypes that these disorders carry. It’s important to acknowledge that people who struggle with mental health related issues are challenged doubly. On a daily basis, they have to deal with symptoms and disabilities that result from their disease. Additionally, they are challenged by social prejudice resulting from misconceptions about mental illness. And then in the end, they are robbed from so many opportunities others take for granted (like, for example, steady jobs or social affiliation). 3. Determinologization of mental disorders discourages the ones that actually suffer from them from being open about their condition. It is changing, but the process is slow: we – as a society – are still far from being open about what’s happening to us in terms of our mental health. Unfortunately, we are also quick to use words that we do not completely understand in an inappropriate context. Very often we do not realize, however, how harmful this can be to others. Now imagine that you’re trivializing a mental disorder in the presence of someone who actually suffers from it who has beloved ones that suffer from it. Once you hear that your condition (so something that causes you real pain) is being treated like a joke, you will probably be less likely to talk about it… Because why should you, if you feel like you’re only gonna then be ridiculed? 4. Determinologization of mental illnesses can make it sound like the moment you get a diagnosis you literally become your ilness. But, surprise, surprise, it’s not the case. You don’t change shape or color once you get diagnosed with a mental ilness. You don’t turn into some sort of a mythical creature (wow, imagine that!). Saying that someone is something (e.g. Anorexic, Schizophrenic) is a way more definitive statement and leaves little space for hope for overcoming the condition, than saying that someone has something or suffers from something. Words – and the manner in which we use them – really do matter. Depression is not an extreme form of sadness. It is a mood disorder that causes multiple psychological and psychosomatic symptoms (persistent sad or “empty” mood, anxiety, severe fatigue, difficulty sleeping, suicidal thoughts and suicide attempts to name just a few). And to be diagnosed with depression, one has to suffer from these for at least two weeks. Some words to use instead: sad, unhappy, sorrowful, down, heavy-hearted. Panic attacks are symptoms of a panic disorder – an anxiety disorder characterized by the fear of losing control or the fear of disaster. They are sudden and last for at least several minutes or longer. The fear one experiences is real, although there is no real reason to feel it. As the panic attacks can occur at any time, many people with panic disorder dread the possibility of having another attack basically anytime. So a panic attack is clearly not the same as freaking out when seeing a spider in your bed. Words to use instead: upset, afraid, scared, terrified. Well, yeah, I doubt that you do. You can feel upset or unsteady, that’s for sure. But a psychological trauma is a serious emotional and psychological damage that results from experiencing (once, or for a prolonged period of time) an event so severely distressing that it exceeds one’s abilities to cope with it. It can also affect one for weeks, years, or even decades and eventually lead to long-term, irreversible negative consequences. Words to use instead: shocked, disturbed, upset? But I don’t think there’s actually one perfect synonym for trauma in its’ whole complexity (but let me know if you have an idea!). Anorexia nervosa is an eating disorder that causes one to severly restrict their daily food intake. Its’ most common symptoms include extreme thinness leading to emaciation, distorted body image and low self-esteem and an intense fear of gaining weight. Although people suffering from anorexia are indeed usually worryingly thin, it is not a lifestyle choice or a form of extreme dieting, but a life-threathening disease that isbelieved to have the highest mortality rate of any mental disorder. Words to use instead: thin, skinny, slim, lean… But why do we actually comment on others’ weight anyway? A bipolar disorder (also known as a manic-depressive disorder) causes dramatic shifts in mood and energy levels, but it’s not just about indecisiveness and mood changeability. There are two basic types of a manic-depressive disorder and multiple sub-types (sometimes occuring with psychotic symptoms like hallucinations) which makes the illness pretty difficult to diagnose. If diagnosed and treated properly, a bipolar disorder doesn’t have to prevent one from leading a healthy, productive life. It usually requires, though, a life-long medication (that comes with multiple side effects). Words to use instead: unpredictable, erratic, uncertain, volatile. “Being OCD” is sometimes used like it’s a good thing. Because hey, it makes you all neat and orderly, right? Well, no. Obsessive Compulsive Disorder (as defined by NIMH), is “a common, chronic, long-lasting disorder in which a person has uncontrollable, reoccurring thoughts (obsessions) and behaviors (compulsions) that he or she feels the urge to repeat over and over.” So it’s not the same thing as being well organized and, just as any other ILLNESS, can cause a lot of suffering and frustration. Words to use instead: organized, tidy, neat, ordered. Schizophrenia is the first diagnosis that usually comes into our minds when we see someone behave in an unusual, disturbing way and in a common undestanding is a disease that comes with “weird” symptoms, such as hallucinations, delusions and disorganized body movements. These are so-called positive symptoms. On the other hand, a person suffering from schizophrenia, can also experience the negative ones, which include “flat affect” (a reduced expression of emotions), reduced speaking, feeling of pleasures and ability to begin and sustain any activities. Additionally, everyone can experience these in a different way, so gathering all of them under the same simple label is just plain incorrect. Words to use instead: bizarre, deranged, irrational – these are probably the words we are looking for when calling someone/something schizophrenic, but remember they’re NOT synonyms for this disease’s name. So, you’ll now ask, maybe it’s best to simply NOT TALK about these issues? Oh gosh, no! That’s not what I’m trying to say! I do deeply that there’s absolutely no reason to be ashamed of struggling with a mental illness or having a beloved one suffer from it. 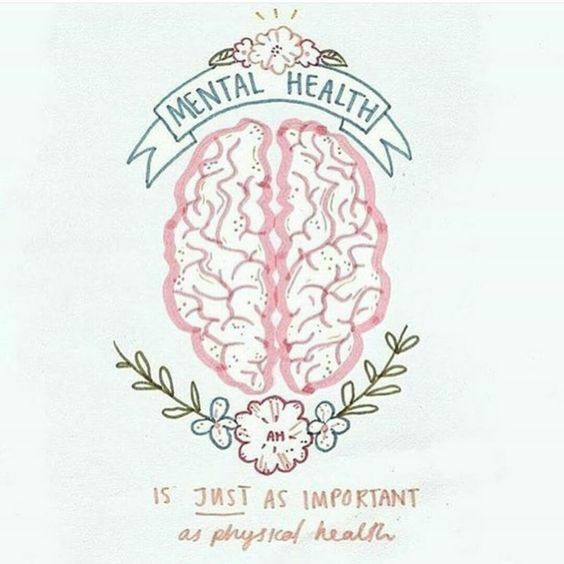 Because just think about it: If we can (more and more) openly talk about physical diseases, why don’t we do it with mental ilnesses? These two groups, after all, can be just as serious, cause one just as much pain and suffering and even, eventually, pose a threat to one’s life. And that’s exactly why we should discuss them. As long, of course, as we’re being cautious and sensitive, having some empathy and weighing our words. “Dostaję depresji przez tę piosenkę!”, “O kurde, ale schudłaś! Wyglądasz jak anorektyczka!”, “Czasem to ja się tak zachowuję, jakbym miała dwubiegunówkę…”. Wszyscy mamy to na swoim koncie: przeprowadzanie spontanicznej auto-diagnozy podczas swobodnej niedzielnej rozmowy z przyjaciółką albo nieadekwatne używanie terminów medycznych przy okazji ploteczek z kolegą z pracy. Proces ten – zapożyczanie słownictwa specjalistycznego, technicznego czy medycznego i “wciąganie” go do mowy potocznej – jest przecież bardzo powszechny i bynajmniej nie tyczy się wyłącznie terminów związanych ze zdrowiem psychicznym. Zjawisko to ma zresztą swoją nazwę (zaproponowaną w 2000 roku przez Ingrid Meyer i Kristen Mackintosh): determinologizacja. Mówiąc najprościej, odnosi się ono do popularyzacji słownictwa zarezerwowanego wcześniej dla specjalistów, czyli procesu, w następstwie którego konkretne wyrazy – w tym kontekście dotyczące chorób i zaburzeń psychicznych – są używane w sposób całkowicie lub częściowo pozbawiony adekwatności, tracąc przy tym swoistą głębię i powagę. Żebyśmy się jednak nie zrozumieli źle: nie przychodzę do Was z reprymendą, a moim celem nie jest kogokolwiek pouczać czy oświecać. Sama, jak zresztą już wcześniej wspomniałam, mam determinologizację słownictwa dotyczącego trudności psychicznych na swoim koncie. Nie chcę też sugerować, że ktokolwiek wskakuje w pułapkę tego zjawiska celowo, szastając “wariatami” na lewo i prawo świadomie, czy po to, by kogoś obrazić lub skrzywdzić. Poza tym wielu z nas może się wydawać, że tak długo, jak nie wskazujemy kogoś palcem, otwarcie przezywając go “świrem” (czy inną “schizofreniczką”), to przecież nie robimy nikomu żadnej krzywdy. Ale pozwolę sobie się nie zgodzić. 1. Determinologizacja chorób psychicznych przyczynia się do ich trywializacji. Sprawia zatem, że zaburzenia psychiczne – stanowiące realny problem i, nierzadko, źródło niewyobrażalnego cierpienia – są traktowane z o wiele mniejszą powagą, niż być powinny. Tą drogą, wysyłamy osobom cierpiącym na dane zaburzenie wiadomość, z której wynika, że ich problemy nie są realne czy godne poważnego traktowania, a to zaś może powstrzymywać je przed szukaniem profesjonalnej pomocy. 2. Determinologizacja zaburzeń i chorób psychicznych prowadzi do ich stygmatyzacji i podtrzymywania związanych z nimi stereotypów. Powinniśmy być świadomi, że osoby cierpiące na zaburzenia psychiczne w codziennym życiu muszą mierzyć się z wyzwaniami dwojakiego rodzaju – po pierwsze z tymi, które związane są z bezpośrednimi symptomami danej choroby, po drugie z tymi, które wynikają z dotyczących jej społecznych uprzedzeń. W efekcie są ograbiane z różnorakich przywilejów i możliwości (jak dostęp do stabilnej pracy czy akceptacji społecznej), które nam samym, nie-chorującym, wydają się być oczywistością. 3. Determinologizacja chorób psychicznych może zniechęcać osoby, które faktycznie cierpią z ich powodu do otwartego mówienia o swoich problemach. Sytuacja ulega pewnej poprawie, ale jest to proces powolny: jako społeczeństwo wciąż jesteśmy daleko od otwartości w kontekście zdrowia psychicznego. Niestety jednocześnie bardzo łatwo i szybko używamy słów, których znaczenia pojmujemy w pełni, w niewłaściwym im kontekście. I nie zdajemy sobie sprawy z powagi konsekwencji, jakie zachowanie to może nieść dla innych. Wystarczy bowiem wyobrazić sobie, że w żartach stawiamy daną “diagnozę” w obecności osoby, która – o czym przecież nie musimy wiedzieć – cierpi z powodu danego zaburzenia. 4. Determinologizacja może sprawić, że osoba chora “stanie się” swoją diagnozą. Używanie nazw chorób psychicznych jak przymiotników jest zwyczajnie niewłaściwe w kontekście poprawności językowej. A poza tym, niespodzianka, nikt nie zmienia kształtu ani koloru w chwili, w której dostaje (profesjonalną) diagnozę. Nie zmienia się także w żadnego mitycznego stwora o nieprawdopodobnym wyglądzie (och, wyobraźcie to sobie tylko!). Niestety, tak jednoznaczne i dyrektywne określanie kogoś słowem, które zresztą powinno być zarezerwowane dla wykwalifikowanych diagnostów, pozostawia mało miejsca na nadzieję na wyzdrowienie. Stwierdzenie, że ktoś kimś jest (schizofrenikiem, anorektykiem, wariatem itp. ), jest przecież o wiele bardziej definitywne, niż powiedzenie, że ktoś coś ma lub cierpi z powodu czegoś. Słowa – a także sposób, w jaki ich używamy – naprawdę mają znaczenie. Depresja nie jest ekstremalną formą smutku, ale zaburzeniem nastroju związanym z wieloma psychologicznymi i psychosomatycznymi symptomami (jak przewlekłe poczucie smutku lub pustki, lęk, chroniczne zmęczenie, trudności ze snem, myśli i/lub próby samobójcze – by wymienić tylko kilka). A aby zostać zdiagnozowanym z depresją, jednostka musi cierpieć z ich powodu przez co najmniej dwa tygodnie. Kilka słownych zamienników: smutny, nieszczęśliwy, przybity, zdołowany. Ataki paniki są objawami zaburzenia ze spektrum zaburzeń lękowych, charakteryzującego się, między innymi, silną obawą przed bliżej nieokreśloną katastrofą oraz utratą kontroli nad zdarzeniami. Nadchodzą nagle i mogą trwać od kilku do kilkunastu minut (czasem, choć rzadko, dłużej). Pomimo braku rzeczywistej przyczyny do obaw, lęk, którego jednostka doświadcza, jest jak najbardziej prawdziwy. Co więcej, ponieważ ataki paniki zazwyczaj nadchodzą zupełnie niespodziewanie, osoby cierpiące z ich powodu często zmagają się także z lękiem przed kolejnym epizodem. Krótko mówiąc, atak paniki to zdecydowanie nie to samo co gwałtowny strach jakiego doświadczamy, gdy w naszym łóżku, nieproszony, pojawi się wielki, wredny pająk. Kilka słownych zamienników: zszokowany, wstrząśnięty, przestraszony, zdenerwowany, niepewny. No tak, dobra, cóż… Wątpię. Pewnie czujesz się wzburzony/a albo wybita z równowagi. Ale trauma psychiczna to poważne uszkodzenie natury psychicznej i emocjonalnej, wynikające z doświadczenia (lub przewlekłego doświadczania) głęboko stresujących wydarzeń, które przekraczają nasze możliwości radzenia sobie. Objawy traumy mogą nawracać przez tygodnie, a nawet lata, prowadząc do poważnych, często nieodwracalnych konsekwencji. Kilka słownych zamienników: zszokowany, wstrząśnięty, wzburzony, zdenerwowany. Chociaż z drugiej strony nie ma chyba dla “traumy” takiego zamiennika, który w pełni oddawałby złożoność tego słowa (ale jeśli macie jakiś pomysł – koniecznie dajcie znać!). Anorexia nervosa jest chorobą ze spektrum zaburzeń odżywiania, prowadzącą do dramatycznego ograniczania przez chorego ilości spożywanych przez niego/nią pokarmów. Najczęstsze objawy obejmują ekstremalną chudość prowadzącą do wycieńczenia organizmu, zaburzenia obrazu własnego ciała, niską samoocenę i poważny lęk przed przybraniem na wadze. I choć osoby cierpiące na anoreksję zazwyczaj rzeczywiście są bardzo chude, nie wynika to z ich świadomej decyzji albo po prostu stosowania “ekstremalnej diety”. Co więcej, anoreksja – pośród innych chorób psychicznych – wiąże się z najwyższym współczynnikiem śmiertelności. Kilka słownych zamienników: chudy, szczupły, smukły, wiotki… A z drugiej strony czemu w zasadzie mielibyśmy komentować czyjś wygląd lub wagę? Zaburzenie maniakalno-depresyjne wiąże się z dramatycznymi wahaniami nastroju oraz poziomu codziennej aktywności i energii, ale nie sprowadza się jedynie do zmienności w samopoczuciu i nastroju. Rozróżniamy dwa podstawowe typy tego zaburzenia i co najmniej kilkanaście jego podtypów (niektóre mogą występować z objawami psychotycznymi, jak choćby halucynacje), których mnogość tylko utrudnia postawienie właściwej diagnozy. Jeśli właściwie zdiagnozowana i leczona, choroba afektywna dwubiegunowa nie musi stać na przeszkodzie do prowadzenia stabilnego, produktywnego życia. Najczęściej jednak wiąże się z koniecznością stałego przyjmowania leków (których zażywanie może nieść za sobą wiele efektów ubocznych). Kilka słownych zamienników: nieprzewidywalny, zmienny, niestabilny, nieobliczalny. Często myślimy o “byciu obsesyjno-kompulsyjnym” jak o czymś dobrym, albo nawet pożądanym. Bo hej, przecież dzięki temu jesteśmy super porządni i zorganizowani, nie? No… Właśnie nie. Zaburzenie obsesyjno-kompulsyjne (w definicji NIMH), jest “powszechnym, chronicznym zaburzeniem związanym z niekontrolowanymi, nawracającymi myślami (obsesjami) i zachowaniami (kompulsjami), które chory musi powtarzać wciąż i wciąż na nowo. A więc jest tym samym dalekie od bycia “zwyczajnie zorganizowanym” i, jak każda inna CHOROBA, może powodować mnóstwo bólu i cierpienia. Kilka słownych zamienników: schludny, poukładany, zorganizowany. Schizofrenia to przeważnie pierwsza “diagnoza”, która przychodzi nam na myśl gdy widzimy, jak ktoś zachowuje się w dziwaczny, niepokojący sposób. W potocznym rozumieniu, schizofrenia wiąże się z “dziwnymi” objawami – jak halucynacje, urojenia i zdezorganizowane ruchy ciała. I faktycznie, są to tzw. pozytywne objawy schizofrenii. Z drugiej jednak strony, chory może cierpieć z powodu objawów negatywnych, które obejmują tzw. “płytki afekt” (obniżoną zdolność do odczuwania i wyrażania emocji), obniżoną zdolność komunikacji, odczuwania przyjemności oraz rozpoczynania i podtrzymywania aktywności. Dodatkowo, każdy chory może doświadczać wspomnianych objawów w odmienny sposób, a więc zawieranie ich wszystkich pod jedną tylko “łatką” jest zwyczajnie niewłaściwe. Kilka słownych zamienników: dziwaczny, nieracjonalny, szalony, obłąkany – pewnie te określenia mamy na myśli, gdy nazywamy kogoś “schizofrenikiem” lub określamy coś mianem “schizofrenicznego”. Pamiętajmy jednak, że nie są one synonimem dla choroby, jaką jest schizofrenia! Więc może, zapytacie, najlepiej byłoby gdybyśmy po prostu przestali mówić o chorobach psychicznych? O nie, absolutnie nie to miałam przez cały ten czas na myśli! Powiem więcej: jestem głęboko przekonana, że zmaganie się z chorobą psychiczną (lub posiadanie bliskiej osoby, która na taką zapadła) nie jest w żadnym razie powodem do wstydu. Zastanówmy się bowiem: jeśli jesteśmy w stanie (coraz bardziej) otwarcie mówić o naszych fizycznych dolegliwościach i chorobach, dlaczego nie możemy robić tego w kontekście tych natury psychologicznej? Obydwie wspomniane grupy mogą nieść przecież równie poważne konsekwencje, powodować tyle samo cierpienia, a także, w końcu, nieść za sobą ryzyko śmierci. I właśnie z tej prostej przyczyny powinniśmy mówić o nich jak najwięcej. Tak długo, rzecz jasna, jeśli zachowamy przy tym powagę, delikatność i będziemy ważyć nasze słowa. Previous Stuffed Bell Peppers. Colorful, Spicy and Vegan. Next Summertime Sadness. On repressed memories, trauma and healing. Wakacyjne Smutki. O wypartych wspomnieniach, traumie i zdrowieniu.